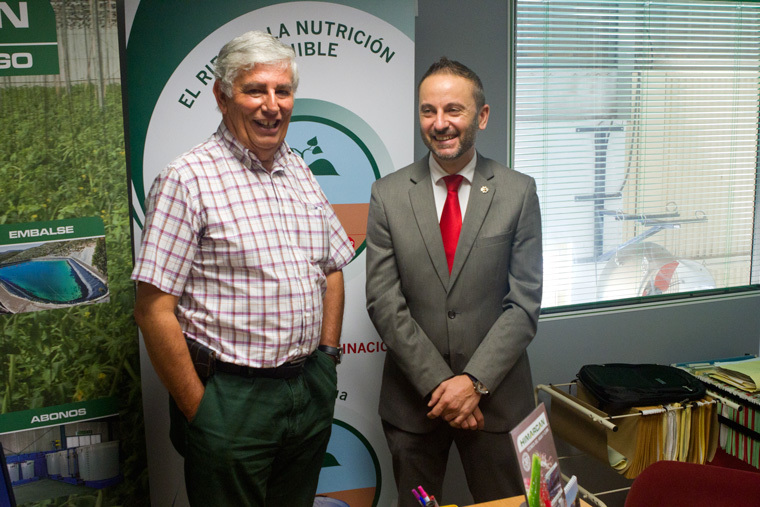 The territorial representative of Economy, Innovation, Science and Employment has visited our company to quailify the results of our I+D+i project, supported by Junta de Andalucía, funded by IDEA agency in 2012 with 63.2516 € from an investment of more than 206.000 €. 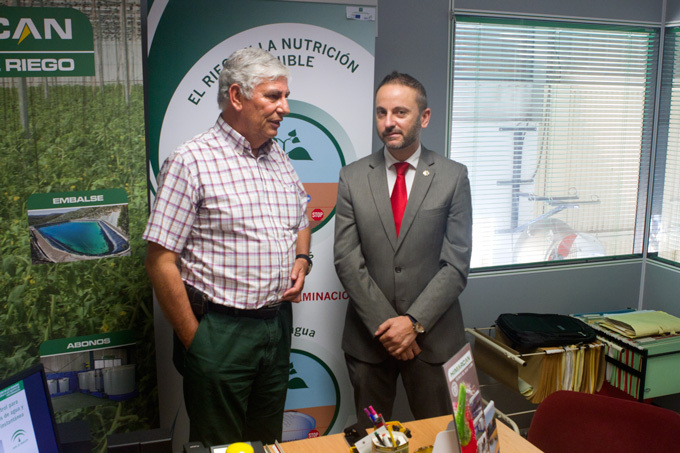 Mr. José Manuel Pérez explained REDHIMARCAN, IRRIBLUE, HIREDSOIL and HIREDHYDROPONIC tools to representative Mr. Miguel Ángel Tortosa. HIMARCAN has developed the complete connection in real time equipment about the plant’s enviroment and mainly the water and fertilizers’ control which means the machine that gives sustainability to expense and pollution in intensive agriculture, REDHIMARCAN, integrated control network for greenhouses. These aids are necessary for SME to develop the innovative potential they all have.